The four directions and the natural order starts in the east. This would be like a new sun…..a new beginning. Once we have spent out time in treatment, we move to the south. 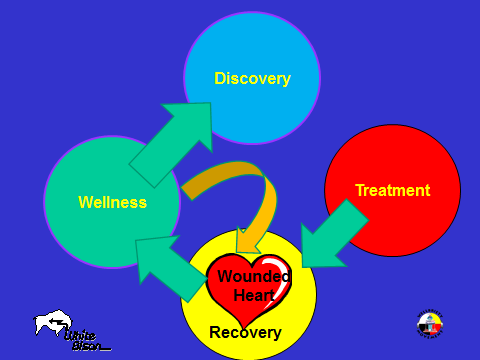 In Recovery is where the majority of the healing work is processed. Here is where we learn to heal our wounded hearts and learn how to get rid of the hurt inside ourselves and develop health ways of handling life on life’s term. 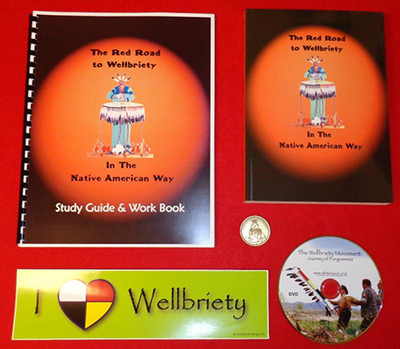 In the west is where we can say we are in wellness. This does not mean we are perfect, it means the Creator is absolutely in our lives and we are willing to share our healing journey with those who are following us and are still in recovery. The fourth direction, discovery, is where we develop of depth of spiritual growth by being aware of growth practices. From those who have made journeys into the deep teachings.